DENMARK and Germany have both offered to help British Handball keep its preparations for London 2012 on the right track despite its lack of funding. THE British Handball Association (BHA) has launched a new logo which they hope will better reflect the excitement, speed and dynamism of the sport as they prepare for London 2012. British handball players Lynn McCafferty (pictured) and Kelsi Fairbrother have both signed professional contracts with top European clubs for next season, as their development towards London 2012 continues. July 3 - British Handball officials insist that they are still on target to compete at London 2012 despite being the only Olympic sport to be given a "red-light" by UK Sport's Mission 2012 review yesterday. Australian Alex Gavrilovic (pictured) has been appointed as the handball competition manager for London 2012, it has been announced. 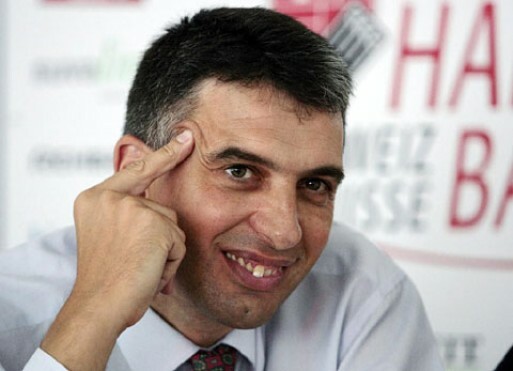 June 9 - British Handball has appointed Dragan Djukic (pictured), a 47-year-old Serbian, as their new men’s team head coach for the build-up to London 2012, where the team is hoping to make its Olympic debut. 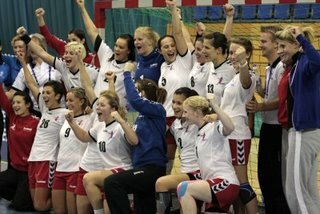 OCTOBER 20 - JESPER HOLMRIS, the coach of Britain's women's handball team, today praised the squad after their victory in the Four Nations Tournament in Sheffield showed that they are making fast progress on the road to London 2012. AUGUST 19 - DESIGNS for the handball arena to be used for London 2012 have been revealed. June 16 - John Brewer (pictured), the director of sport science and Communication at multinational pharmaceutical company GlaxoSmithKline, has been appointed as the new chairman of British Handball. JULY 11 - EFFORTS to create a competitive British handball squad in time for the 2012 London Olympics have taken another step forward with the latest round of selections. May 27 - Britain’s handball players are travelling across Europe this month as preparations for the new season step up a gear. April 12 - British Handball has appointed sports marketing agency Oaks Consultancy to help it raise funds to ensure that its men and women's teams are able to compete at the London 2012 Olympics. JULY 21 - BRITAIN is to stage two handball tournaments in Sheffield to help the country's men and women's teams prepare for the 2012 Olympics. JULY 23 - BRITAIN'S handball players have been drawn in group one of the 2009 women’s World Championship European qualifying tournament, and will face five games during the event from November 25-30, it was announced today.